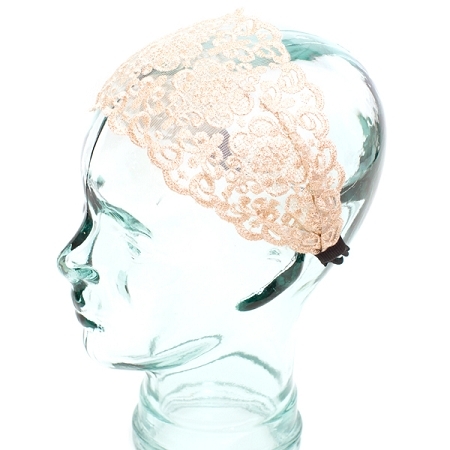 Why should you have to choose between subtle and stunning when Elizabeth does both so well? 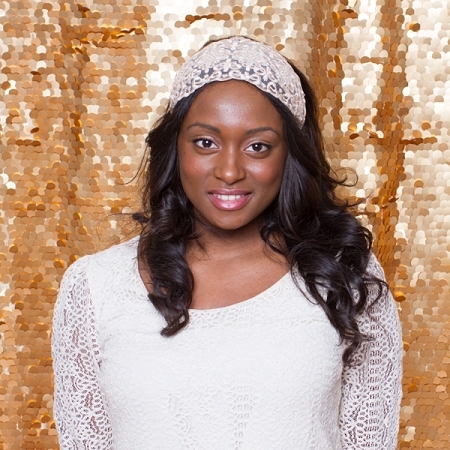 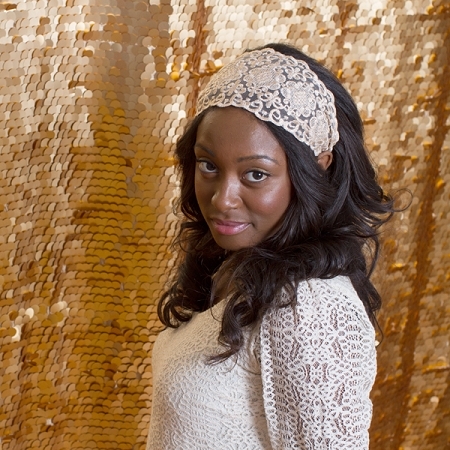 Accents of gold thread add a delicate shimmer to this lace headband. 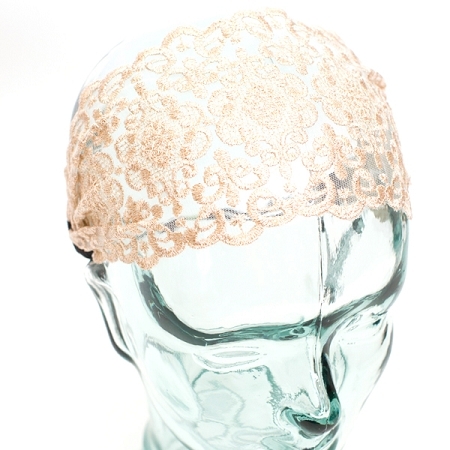 Available: in Champagne (4 1/2 inch wide band).